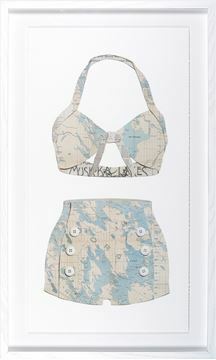 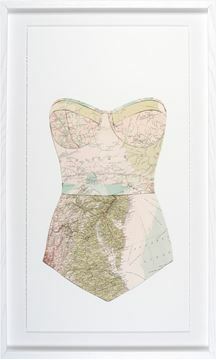 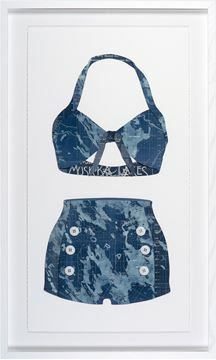 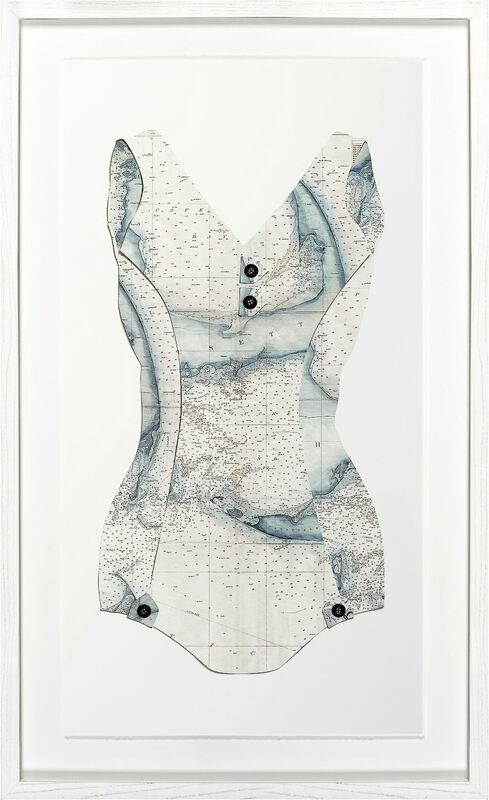 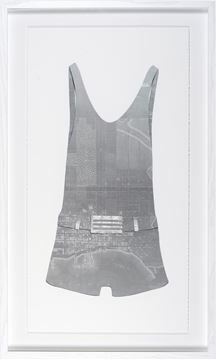 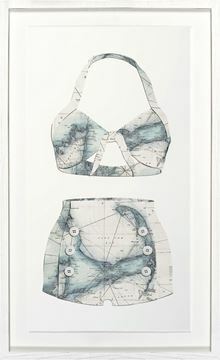 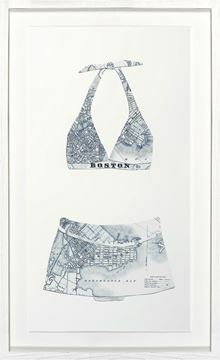 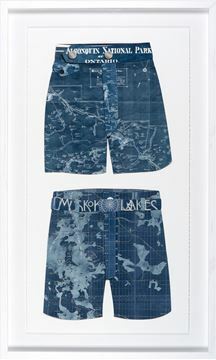 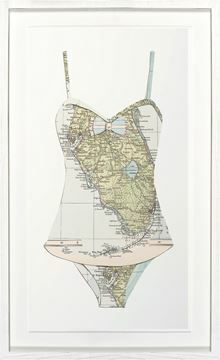 No surprise these shapely Retro bathing suits made of maps of Canada and America's favourite playgrounds are a big hit. 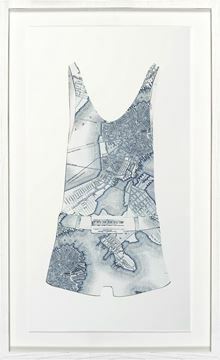 Watercolour blues and grays colour this two Cape Cod piece. 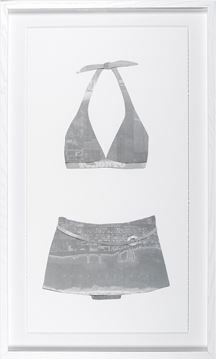 Each is graced with torn edges, frame space and raised image and a clean white washed wood frame.